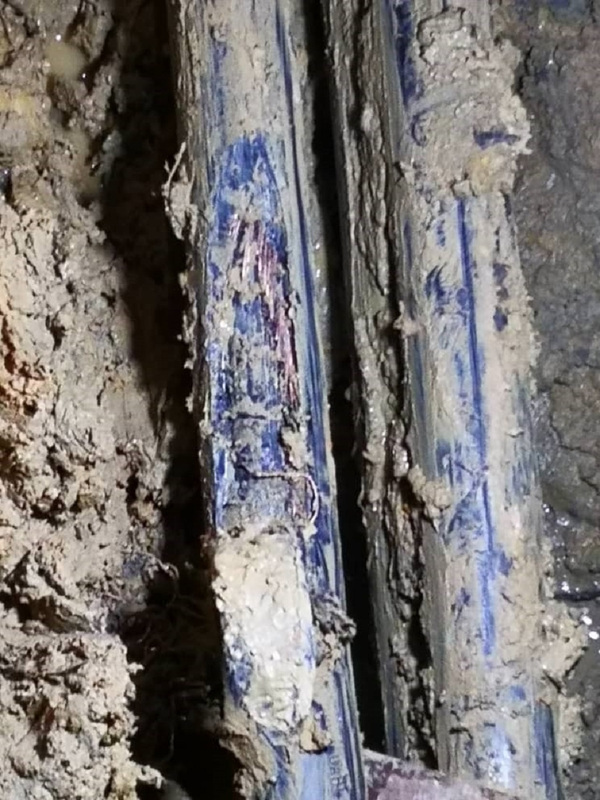 KUCHING, 13 APRIL 2019, SATURDAY: Sarawak Energy has disclosed that third party excavation remains one of the main causes of outages in Sarawak and is urging contractors to check underground cable routes with their power utility arm before commencing work. The latest incident occurred on 8 April 2019 and affected electricity supply to about 1,800 customers in Bintulu including Bintulu Hospital. A 33kV underground cable along Jalan Nyabau near Bintulu Hospital was damaged due to third party excavation works for a rural project. Sarawak Energy received the outage report at 10.50am and supply to all affected areas was fully restored within an hour through alternative feeders. Power interruptions due to excavation work is not new in Bintulu. “Up to today, we have recorded 59 outages caused by excavation cases since 2016, amounting to RM400,000 in damage for Bintulu alone. For Sarawak as a whole, the damage caused have reached close to RM3 million with 352 cases recorded as at March this year,” said Lau Kim Swee (刘金瑞), CEO of Syarikat SESCO Berhad, Sarawak Energy’s power utility arm. “In most cases involving underground cables, it normally takes quite some time to locate the fault especially at night, which may delay restoration. This incident happened during the day allowing us to locate the fault quickly. The area also has alternative feeders that contributed to fast restoration of within one hour,” he explained. “Damaged cables during excavation works also pose a danger to the workers and public within the vicinity. Despite constant reminders to contractors who work close to electrical installations and area with critical lines, this continues to happen,” said Lau. 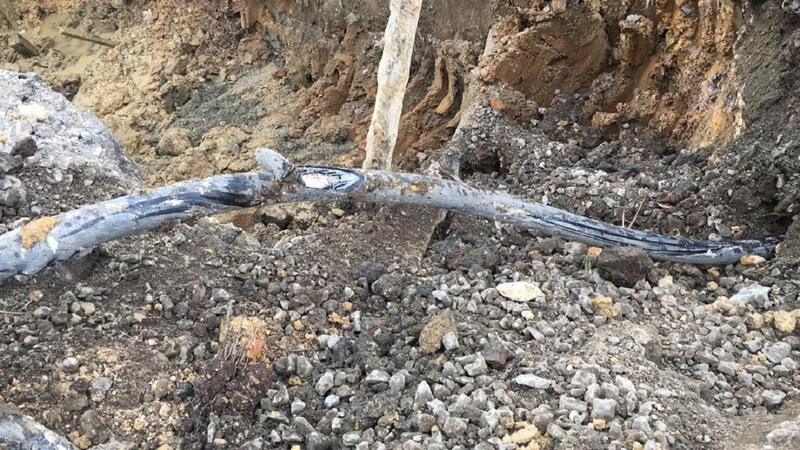 “Contractors are advised to check the cable route with us to make sure everything is safe and follow the guidelines, and not to assume the location or depth of the underground cables. Taking these basic precautionary measures will avoid many unwanted incidents and keep the lights on for the people of Sarawak. This will also ensure the safety of the contractors and their workers. We want everybody to go home safely,” added Lau. Urging contractors to work closely with Sarawak Energy, Lau also said that all these incidents could be avoided if contractors practiced proper planning, consultation and precautionary measures. He said that Sarawak Energy staff are also taking proactive initiatives to visit construction sites, advising contractors to check before they excavate. Notices and reminders are also issued to contractors as part of the preventive measures. Contractors found to have caused damage to electrical facilities will be required to pay for the repair works and may also face prosecution in court. In addition, a report will be sent to the Electrical Inspectorate Unit of the Ministry of Utilities and Department of Occupational Safety and Health for record. To avoid unnecessary inconvenience, contractors can contact Sarawak Energy's technical team at 1300-88-3111 or email at customercare@sarawakenergy.com.my for assistance to check on cable routes before excavation works commence. This damaged 33kV underground cable affected electricity supply to about 1800 customers, including Bintulu Hospital.